Mixing drinks for people is one of my biggest joys in life.While I do prefer making more traditional drinks (margaritas don’t come from sour mixes), it just simply feels good making a delicious concoction for someone. I can’t really explain it. Currently, my cousin and my best friend are bartenders and it fills me with a white hot rage that they don’t treat that job with the respect it deserves (I’m exaggerating a lot, but I really respect drink-mixing). A gig is a gig is a gig, but this one is top notch. Not to be handled lightly. Normally, I look high and low for drink recipes that will fit my needs. Sometimes I have to appease people who want super sweet drinks that mask the alcohol. I don’t like doing it, but I will if I have to. If there’s a theme, a few clicks online will find me a bucketful of drinks that will suit any occasion. Plus some of them have a plethora of ingredients, making the process really fun. But when an occasion calls for the old school, my kind of drinks, I go to my Home Bar Basics (and Not-So-Basics). I found this water and tear resistant 110 page guide, written and illustrated by Dave Stolte, last year on Kickstarter. 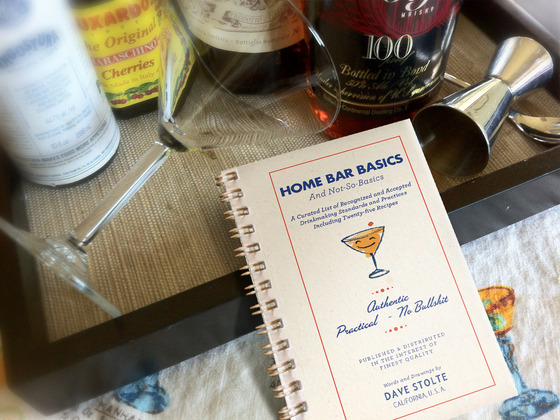 It features a bunch of tips and techniques to help with drink-making, checklists to support the creation of an exceptional at home bar, and 25 recipes accompanied by really great drawings. It felt like it was made for me. 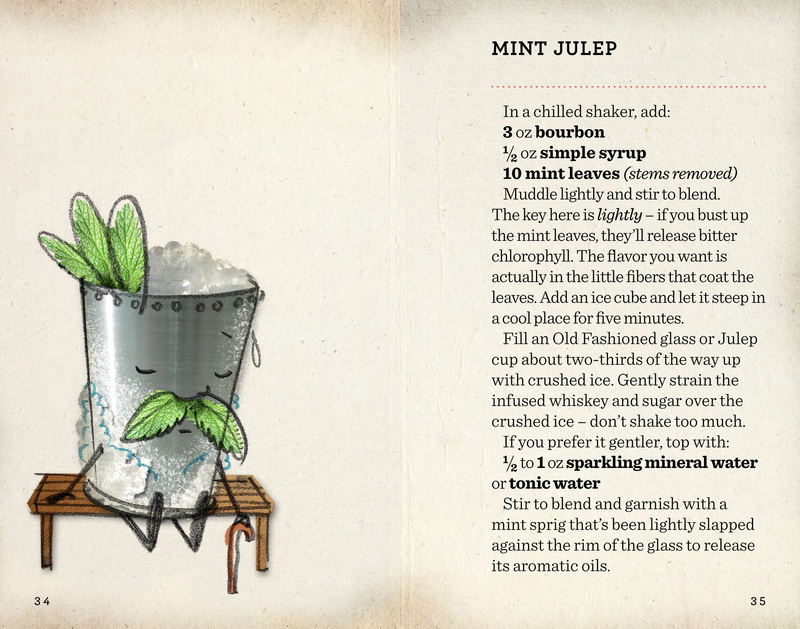 The guidebook focuses heavily on the history and craft of the drink recipes, which include a Martini, an Old Fashioned (my personal favorite), and a Mint Julep (pictured below). Home Bar Basics (and Not-So-Basics) has come in handy time and time again. Despite the utter love my family has for the overtly sweet and slushy like Daiquiris, the very sparse recipe in the guide always gets some compliments. The guidebook is tailor made for simplicity and craft, never succumbing the modern travesties (albeit delicious) of drink making. Twelve of the recipes are available on the website or you can buy Home Bar Basics (and Not-So-Basics) at Storenvy. I highly recommend it if you have a thing going (or want to start a thing) with making drinks. 19 May	This entry was published on May 19, 2012 at 9:27 pm. 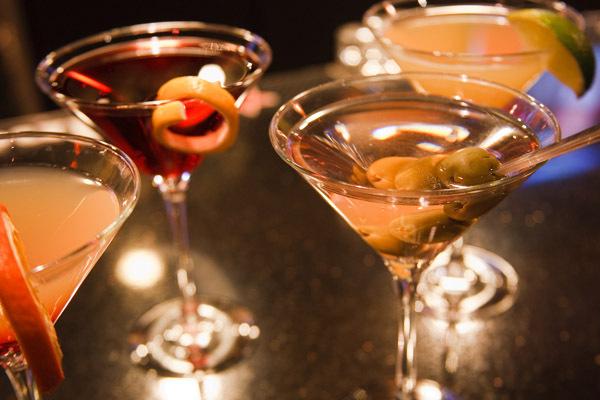 It’s filed under food and drink, nightlife, personal and tagged alcohol, bartender, booze, daiquiris, dave stolte, martini, mint julip, mixing, old fashioned. Bookmark the permalink. Follow any comments here with the RSS feed for this post. Thank you, glad to hear you’re enjoying the book! Thanks, glad to hear you’re enjoying the book!